I wear Peplum tops all of the time. I think that peplums are flattering on pretty much everyone! I am a huge fan of the trend. I love how this one from Zara is longer and more loose then most peplum tops, at least that I own anyway. But I really love the back of this top! Not to mention that I scored this top for only $14 this weekend! And the color of these jeans, which are also on sale, are perfect for fall. I love the new ones that j.Crew has with the zippers, but these were on sale for only $50 with an extra 30% off! I could't resist! So I attempted to start packing for Fashion Week yesterday! It didn't go so well! My problem is I just want to bring everything. I try to pick specific outfits and then I always end up saying "well what if I want to wear this instead" and before you know it I have completely over packed! Am I the only one who does this?? So for this trip I have come to terms with the fact that I am bringing way more the I need. But it's fashion week so I feel like it is totally acceptable. Happy hump day! Thank you so much for reading and for all of your sweet comments! Cute top! I love the back. I love how peplum is flattering on everyone! $14 is an amazing price for that top - I'll have to check out Zara soon. You score such good deals! I always over pack... to the point where I have to pay extra for a heavier luggage. What can I say... I like selection. Such a cute top on you! I love the peplum part but equally love the back! Have fun at NYFW :) so jeal! That is such a cute top, love the back of it! Love this look! 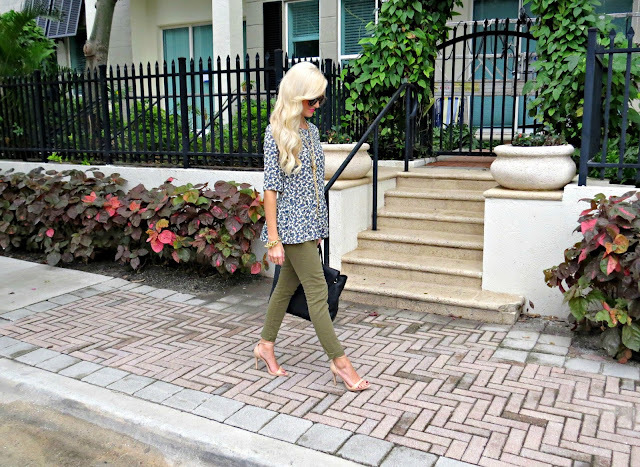 I'm a big fan of peplum too and I love the color of those pants! Great finds! Have so much fun at fashion week!! I love this outfit! Your peplum looks amazing and the back is so pretty! 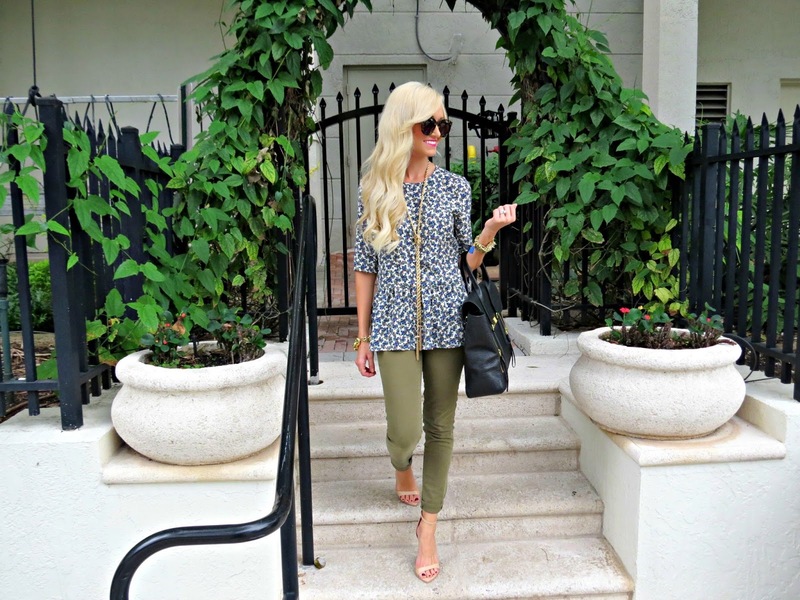 Love the olive pants too! Have fun at NYFW! This is such a fun look for fall! I also love peplum tops, and I cannot believe you found that for only $14!! I also always overpack, so I know exactly how you feel! Have an amazing time at Fashion Week- hope to see some posts about it! Honestly, I love peplum tops but don't own any one!! Always when I search for some good ones, I don't find anything at all. I love the army green pants and the longer peplum is so cool Jade! This is such a great outfit for these early Fall days. I love this pemplum top! I am really tall so I think it would fit nicely with its longer length! you look gorgeous!